In an effort to connect with small businesses in the area, newly-elected Queens City Councilmembers recently met with members of the Queens Chamber of Commerce at the organization’s Jackson Heights headquarters. Some of the issues they discussed included the loss of area hospitals, the Aqueduct Racino project and the possible altering of the original Willets Point revitalization project. 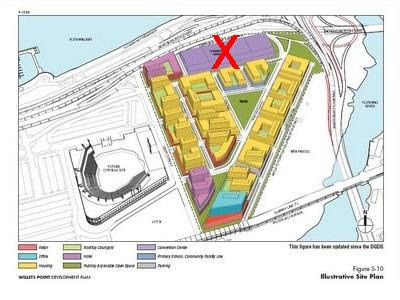 When the meeting touched on the Economic Development Corporation’s possible abandoning of the proposed Willets Point convention center, Councilmember Karen Koslowitz, of District 29, said that dropping that aspect in particular would be disastrous to the local economy. b) jobs, jobs, jobs anchored by the convention center. Part a) was tossed out the window when they went to a phased approach and part b) is on its way out, probably because TDC doesn't think they can build a convention center or it won't be profitable enough for them. Amazing how the city can approve one plan and then replace it with something entirely different without any elected official raising hell or an investigation being commenced. And the best part is that the City, via Claire Shulman, continues to lobby itself (as well as the state and feds which need to sign off on their disastrous Van Wyck ramp plan) with our tax money even now that we are broke with the electorate begging for crumbs. Gotta love this city! Developers are ALWAYS the priority!